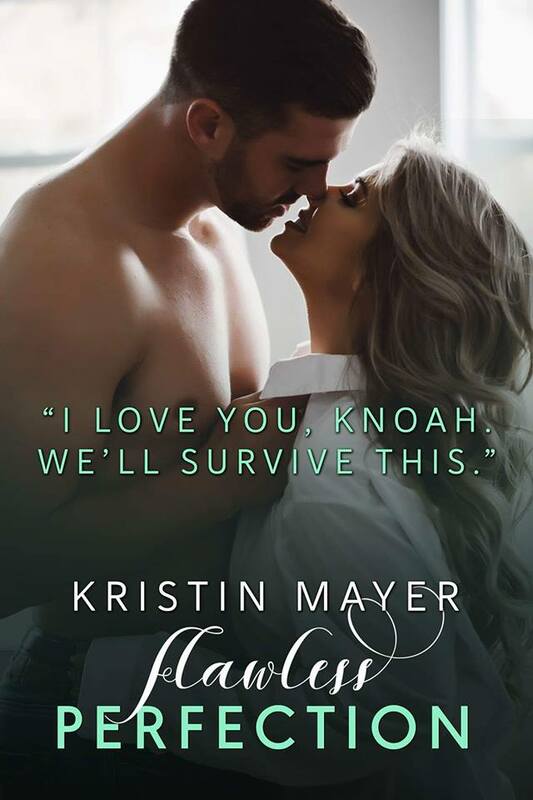 To have a “non – interrupted” reading pleasure I waited with reading Untouched Perfection (Timeless Love Novel Book 1) by Kristin Mayer until I had the second book “Flawless Perfection” in my hands which was a few days ago. I admit I am not a patient person when it comes to waiting … Funny because as one of the leads or actually both like to quote “patience is a virtue” … yeah well but we will learn soon how they really think about that too. Anyway my review here is concerning both books as a unit and each one single as well. First of all this is a new to me author and I truly enjoyed her writing tremendously. Start rolling your eyes if you want – but one of the reasons I dislike waiting for a series sequel is also one of the reasons why I liked this writing as much as I did. Sylvia Day forever cured me when it came to waiting on a series – and yes I admit I refuse to read another book from her if it is an unfinished series. But on the other Hand “crossfire” was the last time I read a book about a guy that had the same intensity as our male lead here with Kristin Mayer. And I loved every second of this intensity and love. There was never any question from my side when it came to their intensity and the author even made the almost “instant – love” between the leads believable for me and trust me that is an accomplishment when it comes to me. I never doubted anything in that department. So about 75 % of the first book were a 5 Star read from the Start. Then I was met with a direction in the Blurb that I struggle with – it was the association with a certain sort of / way of crime (yeah me being vague again) that left me feeling unsettled because I usually avoid books in that setting like a plague. Not because they are bad (wrong wording its crime so they ARE bad) I avoid them because they are the sort of crime that comes with no exit because once in there is no out. So there I was 75 % into a book in a series that had everything I loved and than this … I made up my mind to go ahead and it was ok for the time being – until it reached the climax of book 1. Which was OK on its own but as it was I closed the first book and opened the second book a minute later just to find myself in a very bad flashback to a scene in Dallas when the producers recognized they made a mistake and bobby was standing in the shower and everything had been a dream. That moment really did not work out for me at all – sorry. But still I could not place the book down as I really loved this relationship between the leads. The story floated easily while it was dragging me deeper and deeper into that area of crime I never want to go. But I still liked the way it was handled so it was OK – at least sort of. The story itself became more and more complicated and I was wondering why that was the case because I felt it wasn’t doing anything for the story actually. What I found an interesting development was that the leads never disagreed on anything – it seems odd when I say it like this but it worked well during the story. Strange but true. Still in total the story flow felt a little unbalanced at times. But don’t be fooled my complains are really at a high level and they should in no way influence you to not read this book. More the opposite – I would like to hear your opinion on it. So in total I loved the characters very much but I was not so happy with parts of the setting they were placed in.